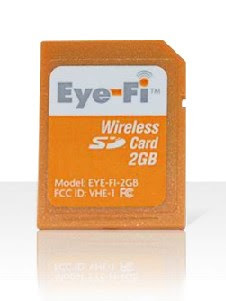 Een ander product op CES: Eye-Fi wireless memory card. Startup company Eye-Fi, which makes an SD card with a wireless chip on it, is offically The Last Gadget Standing. Jef Holove, CEO of Eye-Fi, demonstrated to a packed house. Holove had a colleague shooting photos of The Last Gadget audience while he made introductory comments. By the time Holove was finished saying a few words, the photos were snapped, transferred wirelessly, and displayed on his PC. No one had to touch a button, link a cable, or set up a cradle. 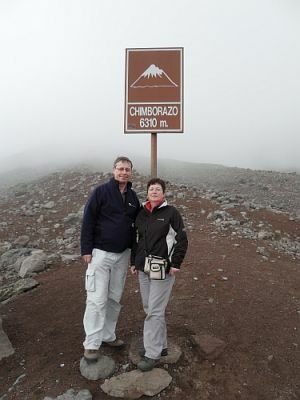 All you need to do is turn on your camera and the pictures are automatically sent through your PC's Wi-Fi connection to any of the popular photo hangouts: Facebook, Flickr, Snapfish and more. The product costs $99 and is available now.